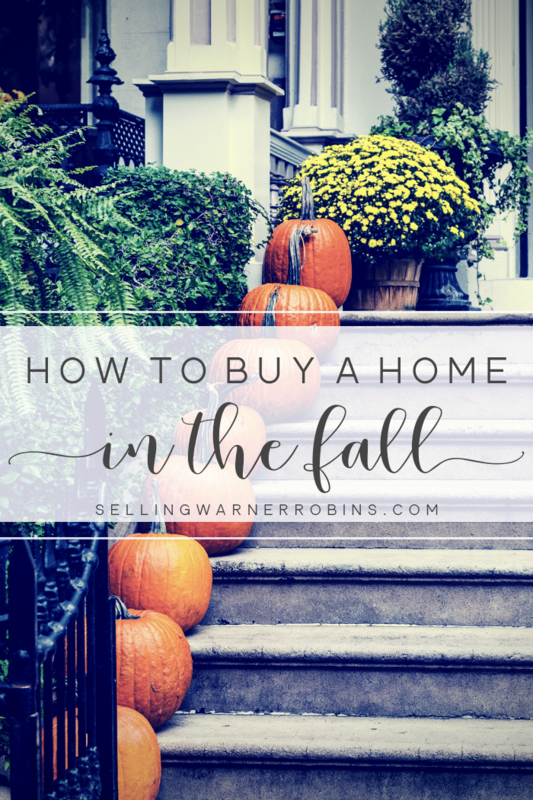 Purchasing a home in the fall can be a fun and exciting experience. The weather is cooling down and many homeowners take that opportunity to decorate their home to appeal to the masses. Whether it is autumn decorations on a front porch or themed place settings in the dining room, buyers will get a quick glimpse of what each property can look like if they decide to purchase the home. Keep in mind this time of year can also be very hectic with holiday preparations, kids going back to school, and a host of other activities keeping consumers busy. For some buyers, looking for a new home can take as few as a month or two while others may take a year or longer to find the right deal. Make sure you are mentally and physically prepared for the home search as start looking for your dream home this fall. All the more reason to dedicate quality time and energy finding a home that is right for your entire family. Once you find the house you want, be decisive with your offer to give yourself the best opportunity to purchase the home. 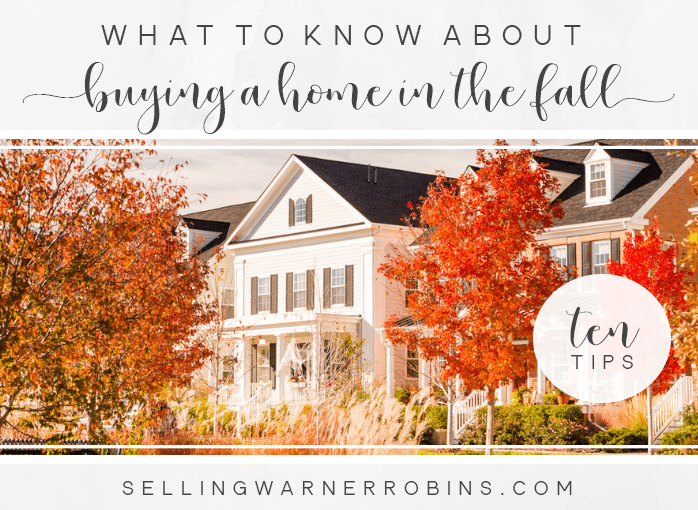 If you are unsure how to do this or just want more information on the process, here are ten things that will help you when purchasing a home in the fall. Ask potential new buyers and for most the number one topic of discussion will be money. How much to save, how much to put down on a house, how much to keep in reserve, etc. It is absolutely vital to know how you stand financially before you decide on an investment that is this big. You want a home you can be proud of, but you should never become cash poor in the process. Defining your budget is going to help you determine what kind of a property you can purchase, where it is going to be located, how spacious it can to be, and even how old it is going to be. That is why it is vital to talk to a mortgage lender, discussing your financial situation, and coming up with a firm amount of money you feel comfortable spending on a house. Once you determine the budget for your new home, it is time to try to try and stretch those dollars as far as they will go, especially considering the holidays are approaching and you may have added expenses you have not allotted for. Look into different home options, visit open houses, and talk to your friends and family who may have gone through this process recently. Take all of that into account then determine your family’s wishes and desires to come up with a viable plan to purchase the perfect home for your needs. When you are comfortable with what you have to work with, do not be afraid to spend up to that limit if necessary to find the property you seek. With winter approaching, buying a home in the fall means you need to ensure the home you are looking to buy can withstand both mild and harsh winters, to include taking an extra look at the furnace/central heat, roofing, windows, and even insulation. Every dollar saved on potential replacement or repairs is an extra buck you can put towards the home purchase. The Internet is the most powerful tool of our age, and it is also going to be one of your best friends during the entire house-hunting process. Instead of limiting your search to the offer you find in your local newspapers, see via a drive-by, or find in a real estate book, you should go online and start your search there. Starting your analysis long before you make any decisions is vital. Find a local real estate site you trust, type in just a few real estate search parameters such as the location, the size and the price range, for instance – and work from there. Call it the thrill of the hunt or trying to find that elusive needle in a haystack, but the more you do upfront the better equipped you will be. To ensure buy-in from all family members, include them in the process. They will get more and more excited about getting a new place and moving your life there. This is a fantastic way to involve your kids in the home search process, especially if they will have to change schools or leave behind friends. Visiting potential homes is always fun, but you should not get too pumped up about it and make a rash decision. Instead, get it inspected and checked out by professional who will know exactly what to look for and can save you thousands in repairs. A little effort with the inspection will pay dividends during the home buying process and long after you are living in the home alike. For instance, checking the electrical system is one of the key systems you need to ensure is in good working order. Having someone who knows exactly what to look for, looking on your behalf is key. If still in doubt, there are plenty of skillful electricians willing to share their expertise and keep you out of trouble. The same goes for all the other home systems, structural integrity, and even appliances included as part of the home sale. Because it starts getting darker earlier in autumn, take advantage of this season by driving through the neighborhoods at dusk and later to see if the neighborhood is well lit. If you find the home you want, schedule a night viewing to see if the property is adequately lit. This could save you money on new lighting and also help you determine if additional outdoor lighting may be necessary for safety/security reasons. Searching for homes on your own will only get you so far, but you still will not be able to access all those listings without the help of a local real estate agent. That is why you should get your own real estate agent and work with them instead of doing everything on your own. The agent should know the area well and be able to provide key information to help you make an informed decision. While family and friends are great resources here, checking out online reviews and overall web presence are smart choices too. Your agent is a wealth of knowledge, and with the potential for decreased inventory (sellers going into their pre-winter hibernation waiting for spring), seeing homes as soon as they hit the market can be key to securing the property. The goal is for your agent to help you find the best place for your money, negotiate on your behalf, handle any issues that arise, and ultimately save you a ton of cash or get you a bigger place than you thought you could afford. If they are not doing all of these things for you, it may be time to find another agent who will! This is something you should start doing before you decide to get a new place, but it is never too late to focus on it, even after finding the perfect home. Your credit rating will determine the type of mortgage you will be able to get and the mortgage interest rate so the higher your credit score is, the better. There are lots of ways to improve your credit score and anything from paying off an old debt to avoid making new credit card applications will do the trick and help you get a better mortgage. You may be surprised to find you have old credit cards or open accounts you thought were closed years ago. All the more reason to periodically check your credit report so you have time to improve your credit score. Not everyone is a fan of borrowing money – or lending – but that is something you simply may have to do if you realize you do not have enough to afford a home on your own. Talking to your parents, other family members, and even your boss (for a raise) could significantly help you come up with the funds to qualify for a home loan or perhaps help defray the cost of purchasing a property. It can be a hard pill to swallow to reach out for help but the end result may be all that is needed to get you into your very own place. It is worth considering, especially if you are only a couple of thousand dollars short of your goal or have no extra money for home purchase/move-in expenses. Besides, tax season is only months away and by purchasing a home in the fall you may find you can quickly pay back the loan once you file your income taxes in the spring. Once you have narrowed your house hunt down to a handful of properties, it is time to decide which locations do and do not work for you. Not every neighborhood is the same, and you should think about your family’s future in a certain area before you make a decision. Researching a potential neighborhood is a slow and tiring process, but you simply have to do it if you want to make sure you have made the right choice. Think about the proximity of kindergartens, schools, supermarkets, parks, hospitals and bus stops, but also about the crime rate, demographics, climate and taxes, and when you put all your data together. If you are not a fan of yard work, looking in the fall will give you great insight into the amount of leaves you may need to rake or if the yard requires some tender loving care once spring arrives. Ultimately, the more research you do, the more confidant you will be in knowing which neighborhood is perfect for you. Purchasing a house is nothing like purchasing a townhouse, and the differences between these two types of properties are huge. However, probably the biggest difference is whether you will have an outdoor area or not. There are pros and cons both ways but if you like to entertain or prefer to be outside, purchasing a home may be the prudent move for you. Having a backyard can be a huge asset in this day and age, and there are many things you’ll be able to do there – from organizing an outdoor cinema to throwing barbecue parties every weekend or just sitting on the deck and enjoying nature. If you have children or pets, having a fenced backyard can add a level of protection and security too, keeping prying eyes away from your private outdoor spaces. Purchasing a brand new home is amazing, but will you be able to afford it long-term? Perhaps you should consider a fixer-upper instead? They are often older properties that need some remodeling and renovating, but can be full of potential if you have a flare for this sort of project or the funds to hire someone who does. You can often get these properties much cheaper which can leave you with a ton of money left over for getting all the extra work done, and turning the house into a newly renovated home. Doing the work before the holidays ensures you are not burdened with an overhaul or restoration during the winter months too. For many consumers, buying a fixer-upper is a smart financial decision. It provides you an opportunity to completely personalize the place, making it your own at a pace that is convenient for you. Just make sure you go into the project with both eyes open, understanding that costs can get out of hand if you are not careful, and delays in completing the project can occur, pushing the completion to the right. Buying a home is often a slow and exhausting process, and is quite possibly the largest financial decision you will make in your lifetime. Very few people have enough money for the home of their dreams straight away, which means you will have to spend time saving every single dollar you can to improve your chances of getting the ideal home in the perfect location with all the extras you desire. Because there is typically less inventory available, and sellers are eager to move on before the holidays, you can often get a great deal during the fall season. A recent RealtyTrac study of over 32 million house/condo sales over a 15 year period revealed October is the best time of year to buy a home! There is no feeling quite like that of being a homeowner. Knowing you potentially have an investment that can increase in value (or at least provide equity) the longer you own it provides peace of mind. Start your research early, engage with an area real estate expert, and get the keys to your own home while the leaves are falling and the weather is beginning to change.